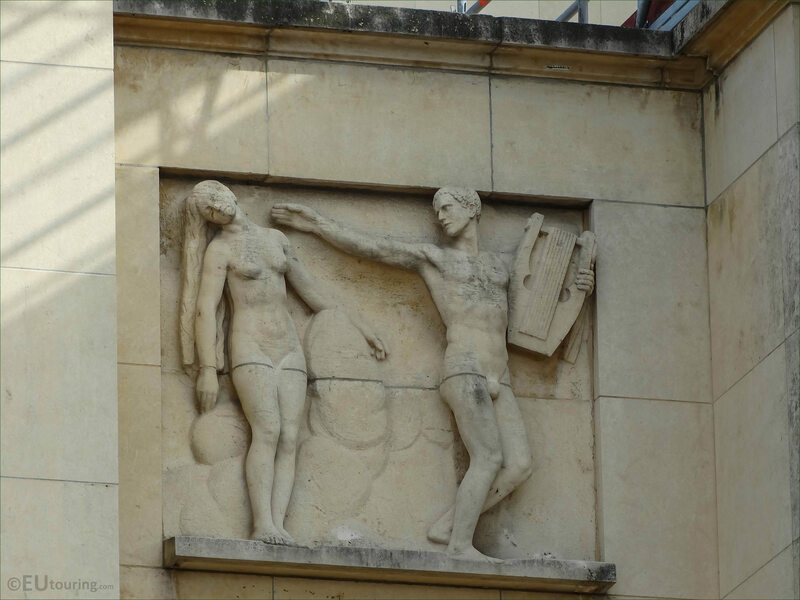 We were in the 16th Arrondissement of Paris within the Jardins du Trocadero, when we took these high definition photos showing a sculpture on the facade of the Palais de Chaillot. The Palais de Chaillot was constructed on the foundations of the old Trocadero palace for the 1937 World Fair, or Universal Exhibition, and there were many different artists of the time who were commissioned to produce statues and sculptures including the bas relief you can see in this first HD photo. 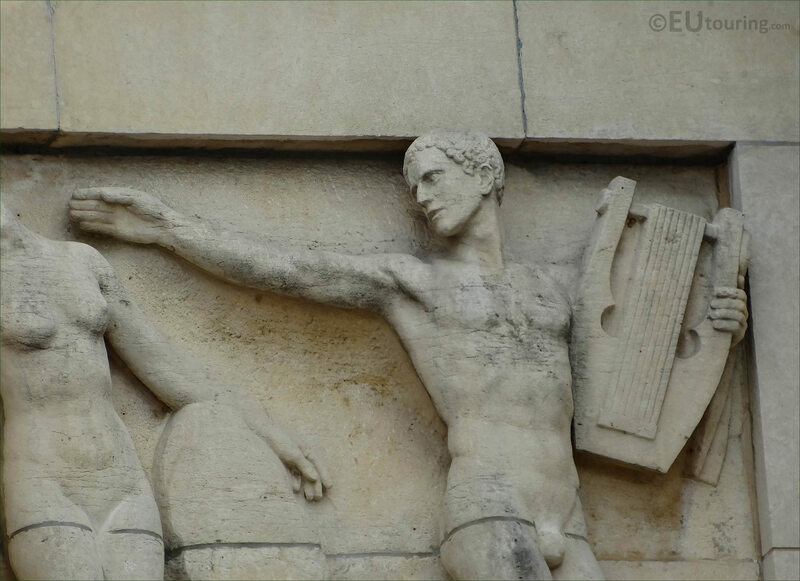 Many of the sculptures and statues for the Palais de Chaillot and the Trocadero Gardens were based on themes of Roman and Greek mythology, and here you can see a close up photograph of a male figure holding a traditional musical instrument called a lyre, which is probably meant to depict Apollo, who was the God of Music in Greek mythology. Unfortunately we have been unable to find out who actually sculpted this bas relief, or low relief, as it was not signed like some of the others. 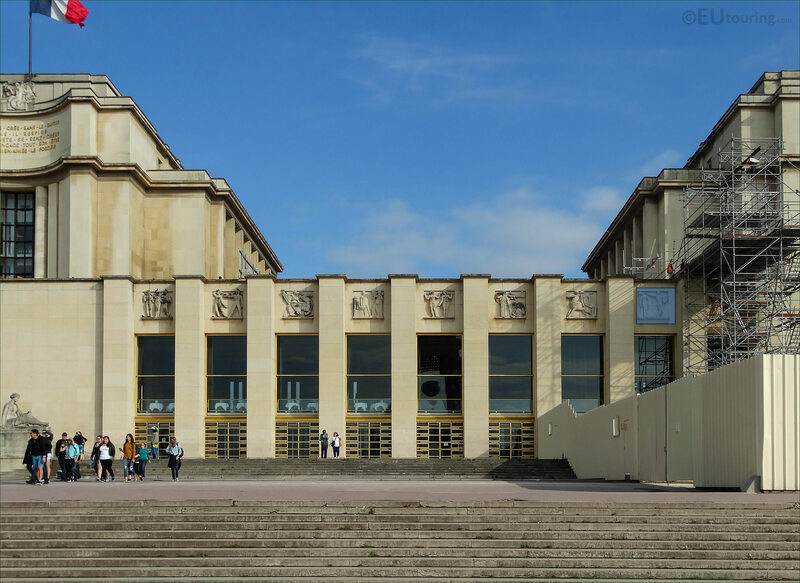 But when you are standing at the top of the Trocadero Gardens you can see this on the facade of the Palais de Chaillot below the terrace, which is the eighth one from the left hand side in between the columns above the picture windows of the theatre restaurant.